What qualities does an effective teacher educator need and why? I have recently been enrolled on an 8 week Nile course on Trainer Development. It was a great course to update my training skills and deepen my knowledge of teacher development. The below short essay was my final assignment and reflections with regard to my own current role. I hope it’s useful. Understanding the role of a teacher educator and the differences between teacher training and teacher development is an area that I haven’t differentiated between, as maybe I should have in the past. In terms of qualities of a teacher educator, being able to distinguish between these areas is a good starting point. Table 1 in the Appendix outlines the key differences between Teacher Training (TT) and Teacher Development (TD). In my context (training for a publishing company), my work has been on the whole coined teacher training and those delivering the training teacher trainers. The delivery of training has traditionally been authoritarian and based on a transmission model, which is part of the institutions professional development activities. However, there is usually no clear connection or communication on how the ‘training’ fits within their on-going professional development. Here lies the second key quality of a teacher educator, understanding the differences and applying the principles between teacher training and continuous teacher professional development. While an initial training session to support a school to use a new course book for example can be extremely beneficial I feel working with that school to design a stronger, continuous course or plan for teacher professional development is the next step. This could involve working towards a more democratic, empowering and flexible approach. Within this shift toward a training/development continuum there are multiple qualities a teacher educator would need to have. In this next section I will cover 2 key areas of teacher educator qualities that I feel would be essential in this context: course design and evaluation techniques. In my current role I collaborate with a variety of institutions, all of whom have varying levels of teacher training/teacher development activities. The majority have pre-set syllabi and are transmission-based to ensure standardization and quality control. As a teacher educator working with institutions to highlight the differences and options for teacher development would be a key quality, so that when they design their professional development activities they can build in both authoritarian and democratic options. As part of this process, understanding what formal and informal channels of teacher development are available for both institutions and the individual teacher would be another quality here. Likewise, as a teacher educator having knowledge of training models, input options and process options are all key qualities essential for good course design. Having these qualities in my role would help inform institutions of potential options. Models: Having knowledge of, knowing the pros and cons and being able to know when to use different models of training is an effective quality of any teacher educator. For example, understanding from experience which models work well with which kind of participants is key. You may also want to use a mixture of models depending on your purpose. The Craft Model may work well with low level teachers in a rural province of Vietnam for example, while the Reflective Model may be better suited for more experienced teachers in a private language school in Shanghai. The key quality for teacher educators is to understand the pros and cons of these models and support institutions in choosing and applying different models to suit their situation and needs. An additional quality here would be to identify potential weaknesses of each model and adapting accordingly e.g. with the Reflective Model, understanding that not all teachers would know how to reflect effectively, so giving training on how to reflect would be a good course of action. Input: In terms of input, basing the course in the reality of the teachers is another key quality of a teacher educator. One good way of ensuring this is by understanding what experiential and second-hand experience input options we have as a teacher educator, for example, critical incidents and/or data-driven input. As a teacher educator if we are aware of these kinds of input this can help us prepare the teachers more effectively in similar situations in the future. So, for example, we might use videos from their own classrooms to evaluate teaching practice. A powerful tool, but as a teacher educator we also need to be aware of the potential drawbacks of this chosen input option. For example, not all teachers would feel comfortable receiving feedback from other teachers on a video of them teaching, so delaying this experiential-type input until later in the course may be a good idea. Being aware of both experiential and second-hand experience input is a key quality which could be transmitted to institutions, so they are aware of the options in their own professional development course design. Process options: When it comes to the delivery of the content a key quality here is to be able to understand and apply different process options within a given session or course. For example, balancing leading, throwing, feeding and showing type activities and tasks can not only help us plan sessions but ensure participants are getting the right mix of interaction i.e. we are not just spoon feeding but getting them to think and apply. Digging a bit deeper, process options can support the relationship between course objectives, course content and how the course is taught. As a teacher educator understanding the cycle of objectives-content-process-objectives is a key quality, which can help not only with the session planning but also in reflecting on whether or not the objectives were met. Being able to get teachers thinking more is also worthy of a mention here in terms of qualities. Developing tasks that lead teachers to think at different or higher levels is a key quality of any educator. For example, understanding how we can scaffold tasks and use laddering techniques to get teachers thinking. Ellis’s article on activities for teacher training provides a good starting point for a variety of different activities that can be used by teacher educators to develop teachers’ thinking e.g. comparing, adapting, improving, ranking, rearranging etc. Having designed a course or session it is essential a teacher educator collaborates closely with an institution (in the context of my work) in understanding and implementing course and session evaluation. Course evaluation: a key quality here would be to understand what options teacher educators have in order to evaluate teacher learning. The first step would be to understand what evaluation criteria is available. For example, Kirkpatrick’s framework of levels of evaluation is one criterion. With this understanding a teacher educator can work with institutions to develop evaluation tools to evaluate teacher learning at different levels: reactions; learning; transfer; and results. Looking past just one-off sessions to a course/professional development programme as a whole and the potential positive impact is key here. As an educator it is also important to be able to know the potential challenges and limitations at each level Kirkpatrick’s framework. For example, the lower levels are quick and easy to administer, but at the higher levels where institutions are trying to evaluate impact, change and results it can be more difficult to measure. Session Evaluation: at the next level down teacher educators must be able to evaluate individual sessions also using pre-determined criteria. For example, this could include re-evaluating how an individual session title is developed and trying to align it with the needs/reality of the teachers. Being able to connect individual sessions with threads and reviews would also be a key quality here. Likewise developing a session evaluation criteria to help both with the planning of a session and evaluating a session post-delivery is another quality. Materials evaluation: I feel it’s also important to note that knowing what materials to use and how to use them for the course content is also a quality. So, being aware of different levels of analysis in materials evaluation such as objective description (what’s in the materials), subjective analysis (what is required of learners) and subjective inference (what is implied in the materials) can help support the educator prepare the right kind of content. John Cruft is the Regional Professional Development Senior Manager for Macmillan Education, Asia and MENA. He has been working in Asia for over 16 years as both a teacher and teacher trainer. John has taught in both the public and private sectors. He has also designed and delivered professional development workshops across the Asian region in many different contexts, including government INSETT projects in Thailand, Japan, Vietnam, Malaysia, Myanmar and Sri Lanka. 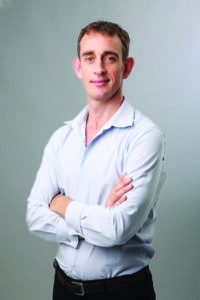 John holds a Master’s degree in Education and International Development from the Institute of Education in London, where the focus of his study was on education systems across Asia. He also holds a PGDip TESOL from the University of Nottingham, UK.